In my previous article i write about 17 Useful Tips to Avoid Credit Card Fraud in your online life! Criminal Cry after Reading This! its help you to avoid any type of Cyber attack into your credit card. I have ignore tips to protect our offline daily life credit card uses. 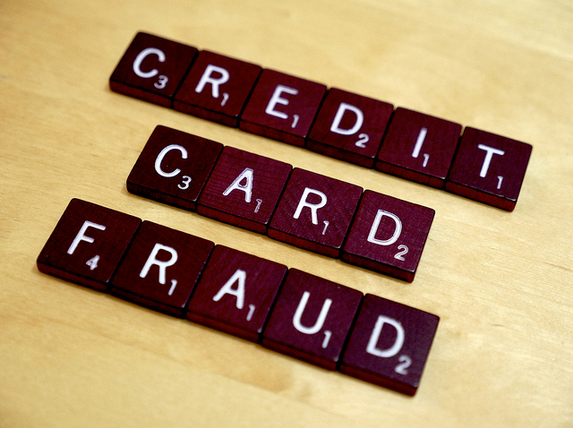 So today i am going to tell you 10 smart tips to avoid credit card fraud into your daily life. Do you know? How does a Credit Card Frauds happen? While you are using your credit card on shopping Center, bar or hotels make sure to scan for any unidentified device like Skimming beside credit card swipe machine. It’s may for retrieve your credit card sensitive data. Very often we received such fake call asking for our credit card information. Lots of people are victim of this type of Credit card fraud and lost their money. Remember bank never calls you for asking your identity or credit card related sensitive data. To be a smart simple asked them that you have no credit card but your friend have it and provide local police station number or cyber cell number. Let police do handle them. Start a habit to keeping your important document into your safe. Also keep all credit card related document card information or transaction/billing receipt copy . Never through those billing copy as it store credit card sensitive information. Criminal can use those data for Credit card compromisation or identity thief. If you lost or any document stolen from you, first report it to the police. You bank account pass books, Checks, or Credit Cards or other statement may carry sensitive information. It’s may be too dangers into a criminals hand. I always save my credit and debit card provider phone number into my cell phone and memorized too. In case I lost my credit card and phone too, it’s easy to block my card using my friend phone. Got your first credit card or replace one. Unpack it signature on back of it. Don’t use regular pen to sing on it. Use permanent markers pen to write permanently. CVV is an anti-fraud security featured three Digit code used to verify your credit card. After getting your credit card. Memorized it and Hide it by placing permanent markers on CCV code. While you hand over your credit card to someone else make sure to keep eyes on your credit card. Always focused for- Is there any camera or scanner to steal your credit card data? If you can see any camera in front of card swipe simple avoid to make payment. End of the money open all your credit card billing and transaction slip and start review form begging of month to end of month. If any unidentified transaction found freely discuss it to your branch. Try to never lost your card , if happen never delay to report it to your credit card provider. Let Credit card provider or bank know it that you are valuable customer. Its help you to protect yourself from any type of identity theft. Tips to Read: 14 ATM Security Tips while using ATM in India! Little tips really make difference! Be Alert: These are the simple but useful tips to avoid Credit card fraud. Your friend is waiting to like your share. Thank for reading here let me know do have any suggestion or question on credit card fraud?